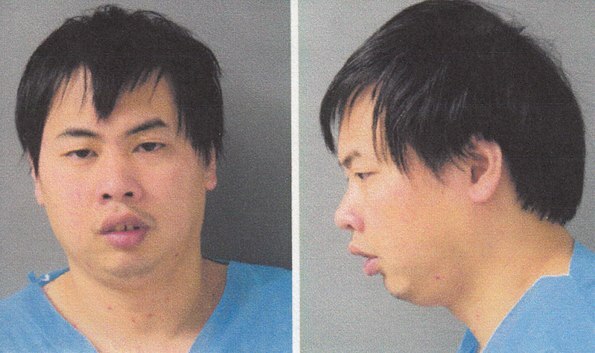 Eric Chung charged with Aggravated Kidnapping and Aggravated Criminal Sexual Assault (Schaumburg Police Department Photo). The Schaumburg Police Department Investigations Division Monday night charged Eric Chung (Male/Asian, age 29-years old of 1910 Wong Parkway, Chicago, Il) with Aggravated Kidnapping and Aggravated Criminal Sexual Assault in a case that began when it was reported to Arlington Heights Police Department about 2:35 a.m. Sunday. Combined work of the victim’s friends, and police departments from Arlington Heights, Prospect Heights, and Schaumburg resulted in an alleged kidnapping and sexual assault being stopped while in progress in Schaumburg. During the early morning hours of Sunday, February 24th, Schaumburg police were notified by the Arlington Heights Police Department that a 24-year-old female resident of Arlington Heights was possibly being held against her will in a taxi cab. After investigation by the Arlington Heights Police Department, police officers working on the case believed the taxi to be in the area of Algonquin Road in Schaumburg. Schaumburg police patrol officers diligently checked the area and located the occupied cab at 5:27 a.m. in an office complex on the 800 block of East Algonquin Road. Officers approached the vehicle and heard the victim yelling for help. Officers took Chung into custody as he was in the process of sexually assaulting the victim. The victim was transported to a local hospital by the Schaumburg Fire Department for treatment of non-life threatening injuries. 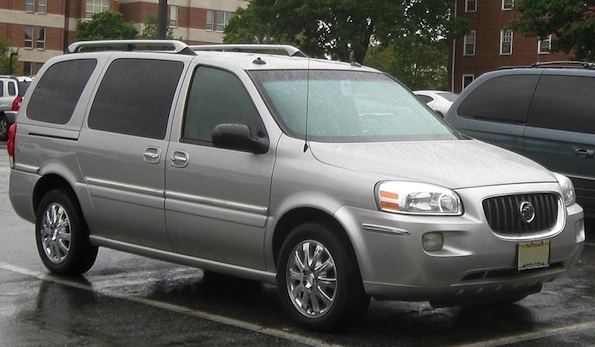 Buick Terraza 2005-2007 model minivan — introduced 2005 and discontinued 2007 (file photo). The victim and two friends had been at a bar in Prospect Heights on Rand Road and requested a cab. Chung arrived driving a white Buick Terraza van bearing the blue markings “AAA Futura Taxi”. During the trip to the ladies’ destination, Chung allegedly started to act inappropriately and the ladies demanded he stop the cab. At a red light near Recreation Park on Miner Street, two females were able to exit the cab. The victim had her door open and was exiting when Chung sped away — trapping the victim in the cab. The two friends immediately called 9-1-1 and contacted Arlington Heights police to report the sexual misconduct and that their friend was being held against her will. Arlington Heights police immediately responded to a street corner Lincoln and Miner Street, just east of Recreation Park, and met with at least one of the females that escaped the cab. The females do not live near Lincoln and Miner. Arlington Heights police urgently investigated various cab companies, and alerted area police departments of the incident, including a description of the cab. After further investigation, with assistance of Prospect Heights Police Department, Northwest Central Dispatch 9-1-1 center, and security/bouncers at the bar; Arlington Heights police officers were able to determine the cab to be in Schaumburg at which time they notified Schaumburg Police Department. Arlington Heights police also contacted the family of the victim to inform them of the police operation underway to locate their daughter. The Schaumburg Police Department took the lead on this case as soon as officers located Chung in Schaumburg while in the midst of assaulting the victim. The Schaumburg Police Department was assisted in the investigation by the Arlington Heights Police Department, the Prospect Heights Police Department, and the Cook County State’s Attorney’s Office. Chung is scheduled to appear at a bond hearing in the 3rd District Cook County Circuit Court in Rolling Meadows at 9:00 a.m. on Tuesday February 26, 2013. Members of the public are reminded that this arrest and complaint contains only charges and is not proof of the defendant’s guilt. A defendant is presumed innocent and is entitled to a fair trial in which it is the government’s burden to prove his or her guilt beyond a reasonable doubt.